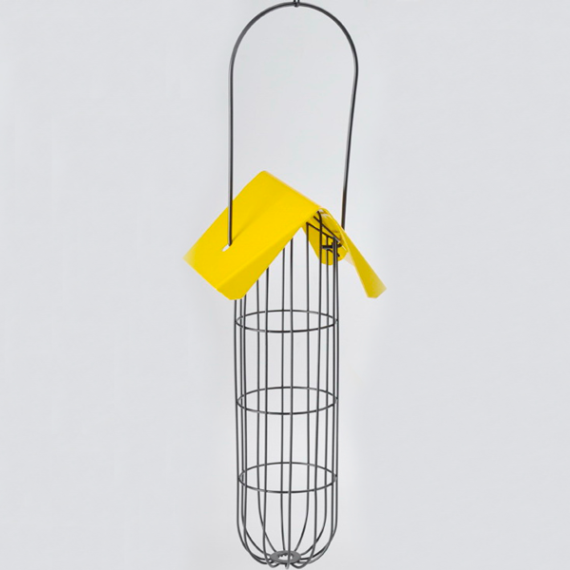 This yellow topped Nature Mates Fruit Tube Bird Feeder can be filled with either fruit or suet. 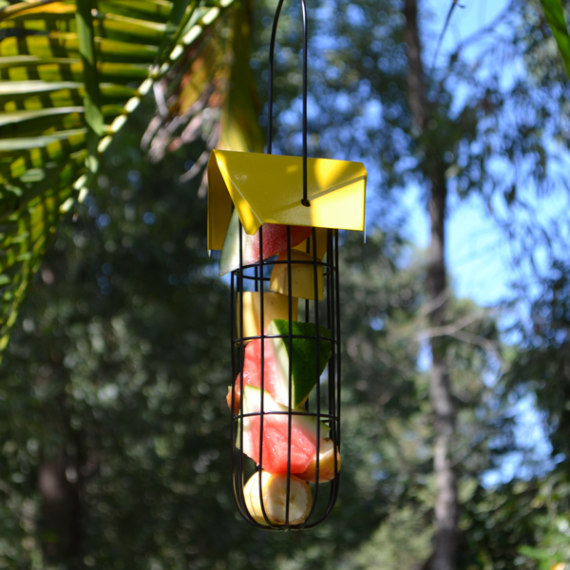 The large grid openings allow medium and small fruit eaters to hang on the feeder and pick at the fruit or suet. 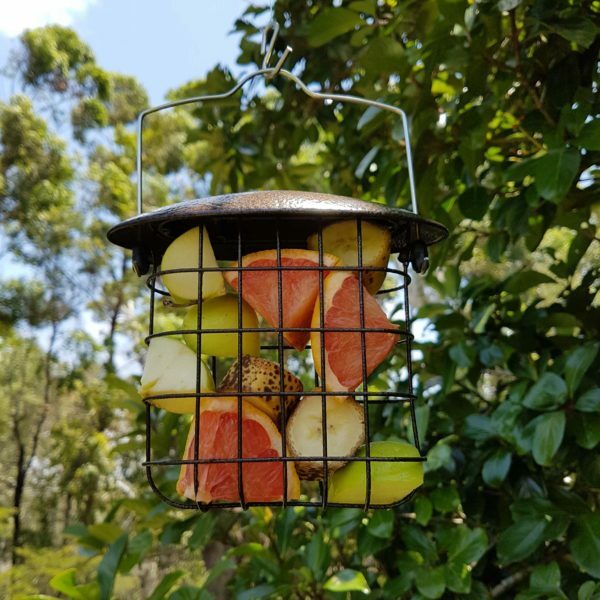 It’s extremely easy to fill and clean, just lift the yellow lid to the side to open and fill with fruit pieces or suet. 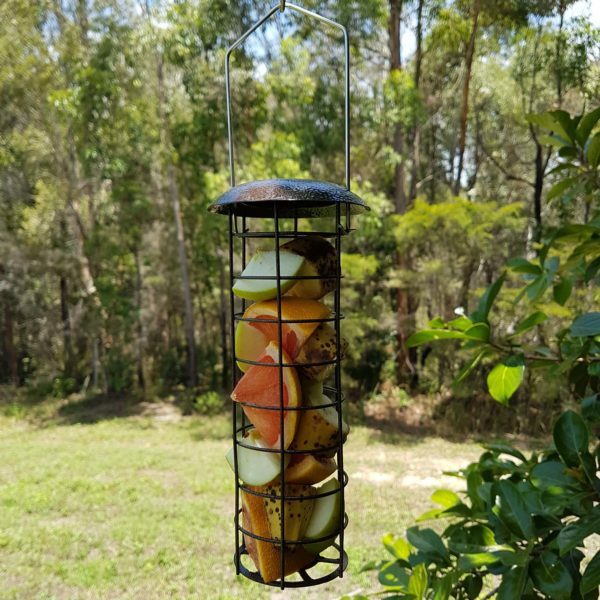 Be sure to remove any old or rotten fruit and replace with fresh produce regularly. 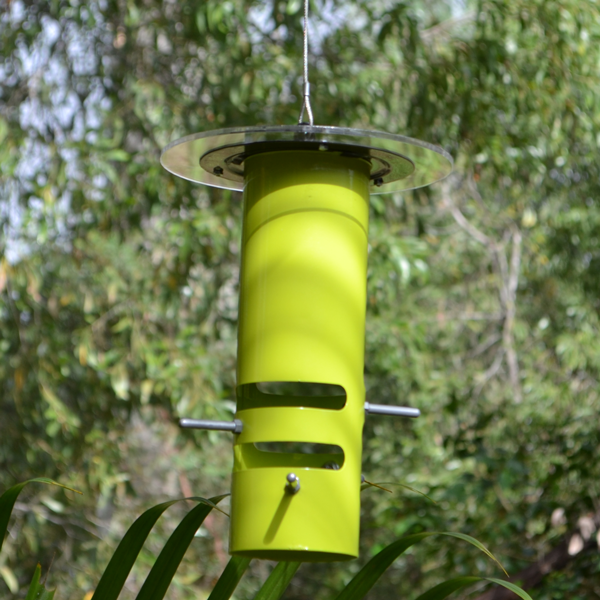 Made from eco-friendly, coated iron sheet (yellow lid) and metal. The tube is 23cm in length by 8cm in diameter.